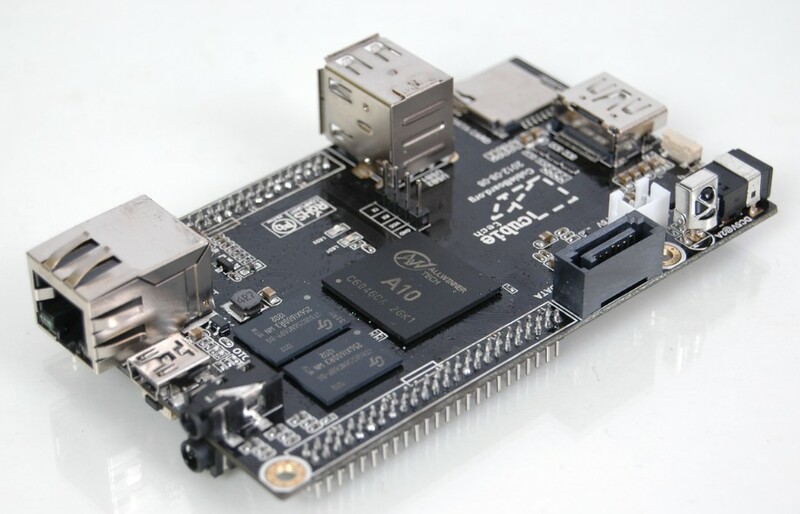 $49 Cubieboard is a raspberry pi competitor. The $49 Cubieboard is a slightly more expensive, but better suited for duty as an HTPC option to the raspberry pi. It even has an IR receiver built in. Specifications below. 96 extend pin including i2c, spi, lcd, sensors, .. This entry was posted in HTPC, Linux, Projects by Brandon. Bookmark the permalink.